by Doug Leier Most hunting seasons have wrapped up with the Jan. 4 closure of small game and archery deer seasons. While those coveted opening days are now more than half a year away, it’s never too early to start looking ahead to fall 2015. For many hunters, the long- and short-term planning is part of the anticipation of the hunt. Coordinating vacation days and travel plans, along with putting together an itinerary and splitting up the food and gear responsibilities is important. Knowing the opening date for a particular season is often a key factor. That’s why at this time of year, the North Dakota Game and Fish Department publishes in a variety of sources the likely opening dates for the coming year. In addition to the listing in this column, you can find them in the North Dakota Outdoors magazine annual calendar issue, and in the news section of the Game and Fish website atgf.nd.gov. I can’t emphasize enough that these dates are tentative until made official by governor’s proclamation, but to allow people to plan for the major openers like grouse, pheasant and deer, there is a system in place designed to set the openers in a consistent manner from year to year. 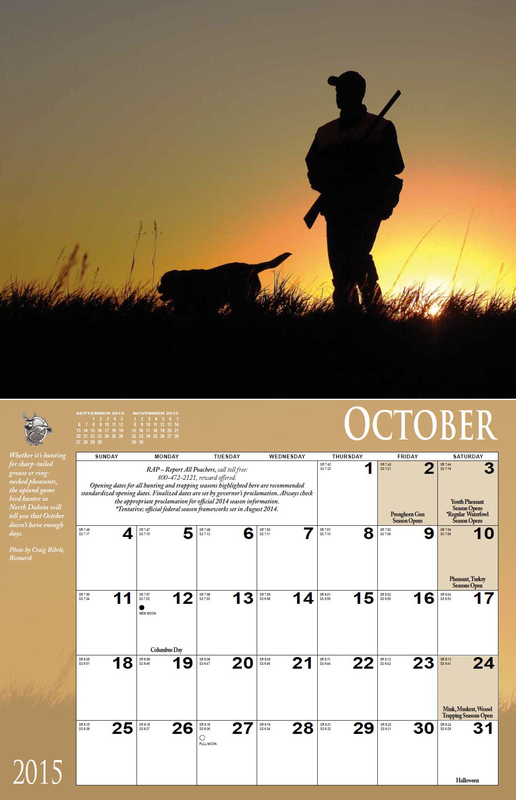 For instance, the target date for the pheasant opener is the second Saturday in October. For deer gun, it’s the Friday prior to Veteran’s Day. These targets or “standardized” dates aren’t set in stone, which gives Game and Fish the flexibility to adjust an opener if needed. However, if a change in a standardized date is in the works, typically that discussion take place a year prior to the change, so it can be included in the following year’s calendar. I frequently get questions about the Friday openers for all North Dakota big game seasons. The provision that all big game hunting seasons must open at noon on a Friday is set in state law. The governor’s proclamations set the Fridays on which the seasons open. With all that said, here’s the list of tentative openers for many of the hunting seasons for 2015. 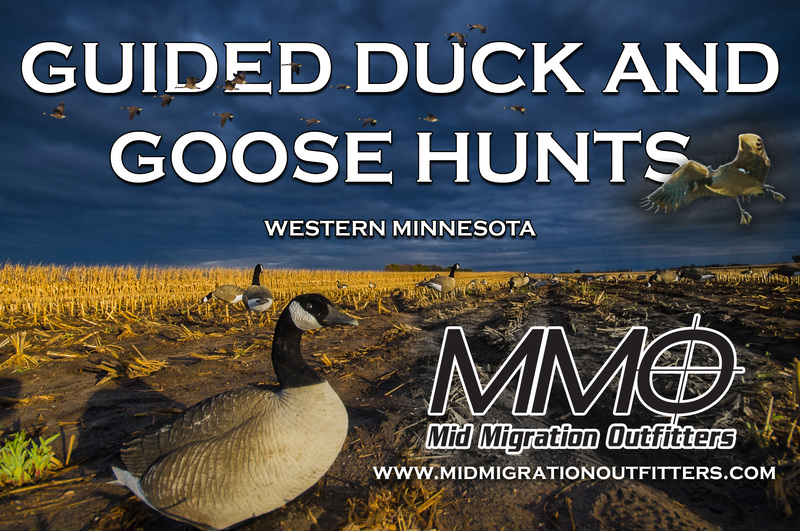 Feb. 21: Spring light goose April 11: Spring turkey Sept. 1: Dove Sept. 4: Deer and pronghorn bow, mountain lion Sept. 12: Sharptail, Hun, ruffed grouse, squirrel Sept. 18: Youth deer Sept. 19: Youth waterfowl Sept. 26: Early resident waterfowl Oct. 2: Pronghorn gun Oct. 3: Regular waterfowl, youth pheasant Oct. 10: Pheasant, fall turkey Oct. 24: Mink, muskrat, weasel trapping Nov. 6: Deer gun Nov. 27: Deer muzzleloader Hunter Education Class Planning One other note in terms of planning. If you or someone you know will need to have hunter education certification to hunt in 2015, now is the time to plan as well. These classes are taught by volunteer instructors, and for that reason the majority of the classes are offered through winter and into spring. Students interested in taking a hunter education class in 2015 should visit the Game and Fish Department website at gf.nd.gov for a statewide list of courses. Classes are listed by city, and can also be sorted by start date. It may feel like a long time between now and 2015 fall hunting seasons, but taking care of some of the planning will help fill the down time.